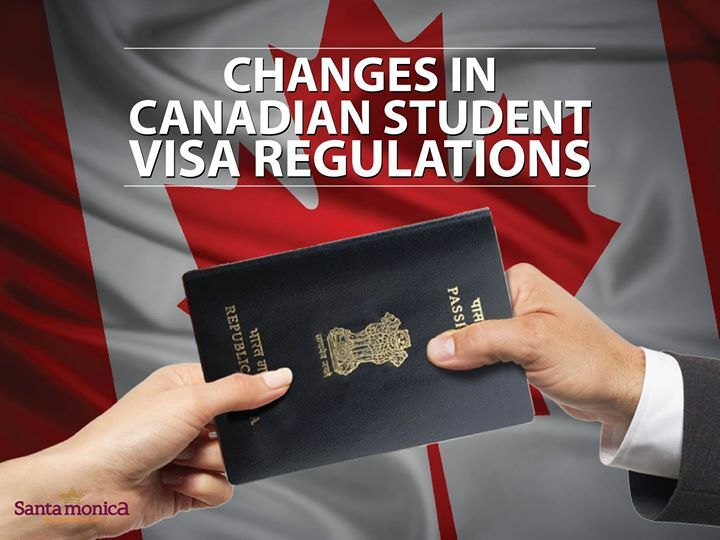 The Citizenship & Immigration Canada has recently announced some changes in the International Student Visa Program for students applying for intake from Jan 2014. • ATTENDANCE: As per the new regulations, the International Students are supposed to register and mark their attendance regularly at the institution to which they are obliged to. Otherwise their status in Canada will be made illegal. • HANDPICKED INSTITUTIONS: International Students can enroll only to those institutions that are approved by Canadian Government from January 2014 on-wards. This is to safe guard the International Students from the fraud or unrecognized institutions. • POST STUDY WORK PERMIT (PSWP) PROVISION: Only those foreign students graduating for the approved Canadian Universities & Colleges will be eligible for Post Study Work Permit. • PSWP ELIGIBILITY: The Full-time students, who had regularly attended a course of minimum EIGHT months which will lead to Certificate, Diploma or Degree, will be eligible for PSWP. • WORK OFF-CAMPUS WITHOUT PERMIT: All regular foreign students attending a course of minimum EIGHT months at any approved Canadian educational institutions & holding valid study visa/permit will not be required to apply for separate Off-Campus Work Permit, they will be allowed to work 20 Hours per week on their Student Visa itself, which means there will be NO waiting period of SIX months for newly landed International Students in Canada, they can work On-Campus/Off-Campus immediately after registering with their designated University or College. The new regulations will come into force in June 2014. This entry was posted in Canada Immigration, Canada Migration, Canada Student Visa Regulations, Overseas Education Consultants, Study in Canada, Studying Abroad and tagged Canada Immigration, Canada Migration, Canada Student Visa Regulations, Study in Canada on April 3, 2014 by Maria.